You just got the good news! The company wants to interview you. Now the nerves begin to rattle a bit. Can you handle the stress? You've been hoping and waiting for this moment. But are you ready? Do You Need a LinkedIn Profile? YES. If you're a job seeker, or preparing for an important interview, you need to be on LinkedIn! LinkedIn represents workers from more than 200 countries. I won't go into all the details about how to create your professional LinkedIn profile here. But the following resources will help you navigate the platform and create a knock-out presentation of your expertise, skills, and personality. Your future employer is going to Google you, like it or not. You want them to be favorably impressed. Begin with a well polished (and honest) LinkedIn profile. Don't Let Anyone Else Create Your Resume! If you're about to spend any amount of money to get your resume created or updated, stop. There are lots of 'experts' out there willing to charge you hundreds of dollars to do something you can probably do yourself, and better. 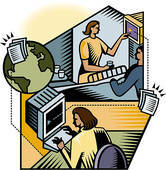 Employers today can almost always tell when a resume has been created by the prospective employee, or from a resume mill. They can spot the 'style' of the mill a mile away. Often, they decide right there that you may not be able to write well, communicate or speak well, and all kinds of things that may or may not be true. I am in the process of creating a separate page on this site with resume advice for you that will share tips and secrets to creating your own resume. I'll share the better books and web sites that can help you design a resume that is fit for 2016 and beyond. 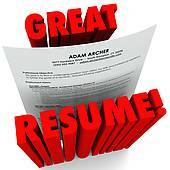 You'll get advice on resumes of every kind, including electronic ones. So be watching for my new and separate page on resume advice, coming next week (Beginning August 1, 2016*). I will keep it constantly updated and useful. *Expert Resume Information page now up and running. Click here to view. The job is yours...if you have the right skills. Do you? I'm at the bookstore. The 'Careers-General' section has, oh, about 250 books, both new and used, for me to scan. Then, to my left is the 'Interviews' section. Another 50 or 60 titles. Up above, resumes. And next to them, cover letters. Now I notice up above all that is the employment test section. You can study these enormous volumes to help you pass those weird tests Human Resources departments and head hunters will no doubt be throwing at you. I've read a lot of these kinds of books, and I do mean a lot. Probably 100 or more. But it doesn't scratch the surface of all that is available. So much to learn, so little time! Is it any wonder that the average job seeker will be more likely to increase the jitters and nervousness after looking over this enormous amount of reading material? And which is the best choice? Too many choices is not always a good thing. You Can Get That Job! Are you FULLY prepared to bring your best to the interview? If you live in the Portland metro area, I can help you rehearse. Click Here for more info. Questions Your Interviewer Is Sure to Ask You. Are You Ready? Although interviewers ask a lot of questions, there are some basic ones you need to prepare for. Rehearse as much as possible! As a career coach specializing in interview prep and rehearsal, I spend a lot of time studying what kind of questions employers and recruiters are most likely to ask you. Not everyone will ask the exact same questions but you can bet the following ones will show up in some form during your interview. Preparing for them can give you a definite advantage. Being unprepared? Well, you just won't be unprepared, right? I found this particular version of the usual questions in Michael Travis' recent book, Mastering the Art of Recruiting (2015, Praeger/ABC-CLIO). The book is aimed at employers and recruiting companies but you can get a strong leg up by rehearsing your answers to the questions. And not just once. Rehearse as often as possible before you actually face the person, panel, or Skype screen for the real interview. When did you begin and end [your most recent] job? Tell me about the business so I can put your work in (sic) context. How did you fit into the organization? What were the challenges you faced when you joined? Did you make changes to your team? How did you perform against your key metrics? Granted, there will be a lot more questions than these. But it's important to nail the basics first. In future posts, I'll share more questions with you so you can practice. It never hurts to have someone be your practice interviewer. Keep calm, know your own history, do thorough research on the company you're applying to, find out who'll do the interview and Google them, and dress for the job you're seeking. Best of luck and success to you on the new job. Your skills, talent, and personality are your 'product.' And you're trying to 'sell' them. Are they worth buying? You have great skills, your experience is broad and deep, and your references impeccable. You can sing and dance better than most. Be sure to thank not only the interviewer(s) but all peripheral staff who have been of any service to you. Receptionists, other employees, etc. And always follow up with a well constructed thank you note when you leave. When you are seeking a new job, you are, in essence, a sales person. And your interviewer is, or represents, the buyer. Bring your best to the table. You often will be the only one being interviewed who will do so. More than just about anything, your prospective employer wants to be able to trust you. How You Can Make Your Job Interview a Raging Success! You may be in a hurry but you don't want to rush things. Your upcoming interview could make or break your chances of winning the new job. Here are four simply yet powerful suggestions by Doug Doug Hardy at Monster.com on how to help you share your best and sell your best to your new employer. Your interview is in 24 hours. Use these four must do's to help build your confidence. Be ready to answer typical interview questions with a story about yourself. To prepare, write down and memorize three achievement stories. Talk about times you've really felt proud of an achievement at work or school. These stories demonstrate all those hard-to-measure qualities like judgment, initiative, teamwork or leadership. Wherever possible, quantify what you've done, e.g., "increased sales by 20 percent," "cut customer call waiting time in half," "streamlined delivery so that most customers had their job done in two days." By the way, non-work achievement stories are good, too; if you volunteer for the local food pantry, write down a time you overcame a big challenge or a crisis there.